The writer and publisher Karl Kraus is giving a conference about Wedekind's plays "Edergeist" and "Die Büchse der Pandora”, that will be presented later in a private performance, the only type of performance that was authorized at the time, with Wedekind himself as Jack the Ripper (curiously, Wedekind was also mentioned by some people as a likely candidate to be the Ripper in real life, though the evidence offered was very thin) and his bride-to-be Tilly Newes as Lulu. In the audience we could find a young man, barely twenty years old, under the name of Alban Berg. He had read Erdgeist, but this was his first real contact with Wedekind's complete drama, a story that will never be completely out of his mind, until it will blosson many years later in the dark and romantic opera Lulu. Berg was excited, partly, because of Kraus's lecture, that was a revelation for him. Kraus, a well known supporter of the radical cause, and the editor of the magazine "Die Fackel", considered Wedekind's plays as a very good example of his own theories about the expiry of the old values, and the need to change social conventions. Apart from CDs, DVDs and other recordings, I've been able to watch several Lulus live on stage: first in London, with Patricia Wise, then in Berlin, with Laura Aikin. In Seville, with Marisol Montalvo, in Madrid, with Agneta Eichenholz, and the last one at Liceu, in Barcelona, with Patricia Petibon. Alban Berg, (Vienna, 1885 - Vienna, 1935) was member of a well-off Viennese family. He started to write music at the age of fifteen, self-taught, back in 1904 he was already a pupil of Arnold Schönberg, that taught him counterpoint, harmony and composition. One of his early pieces, the Sieben frühe Lieder were the first performed before an audience. Schönberg's influence in Berg was very great, apart from the teacher/student relation, both men were friends, and Berg always felt a deep admiration towards the older Schönberg. Alongside Anton Webern, they formed what was called the Second Viennese School, that was the origin of the atonalism and the 12-tone system. Berg was part of Vienna's cultural elite, being in contact with composers like Zemlinsky and Schrecker, the painter Klimt, the architect Loos,... He marry the young heiress Helena Nahowski in 1911, and was recruited by the Austrian Army during the Great War, when he started to work on his opera Wozzeck. Precisely, the performance of three fragments from Wozzeck was Berg's first big success. The opera will be premiered in Berlin, the following year, 1925. Ten years later, Berg died while working on Lulu, apparently from blood poisoning after an insect's bite. This is a book published by Berg's friend Theodor W. Adorno, in the 1960s. 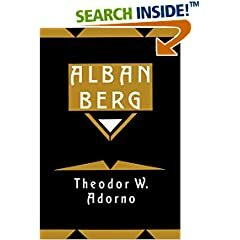 The work of Berg is examined, with an special emphasis on Lulu, that for Adorno it was the best piece by Alban Berg. A very interesting book. 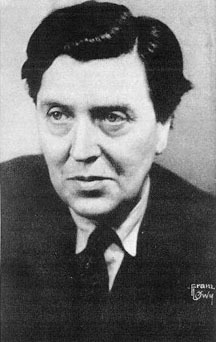 It's the year 1927 and Alban Berg is ready to start working on a new opera. He is considering Wedekind's Lulu plays or another play by German writer and Nobel Prize Gerhart Hauptmann, Und Pippa tanzt! (And Pippa dances!). Finally, after some advice by his friend Theodor Adorno and problems to get the rights for Hauptmann's piece, he decides for Lulu. The work on the libretto was going pretty well, and in a few months it was almost completed. At the beginning of 1929, Berg wrote to Schönberg "Lulu's is very advanced. Maybe I will finish before the end of this year". Regrettably, Berg's was being too optimistic. First, he is increasingly busy with attending several premieres of Wozzeck in different theaters (he becomes desperate with the disregard of the stage directors to his carefully worded indications on the libretto: "There is always a fight to prevent the stage directors from distorting Wozzeck out of recognition. I've decided to wrote for Lulu indications so precise that they could not ignore them". Yes, Berg was being naive), and also he need to combine Lulu with other works, like Der Wein. By mid 1934, with Lulu still not completed, Berg received a proposal from Erich Kleiber to premiere the opera at the Berliner Staatsoper. Full of excitement, he starts to orchestrate the last two acts. However, the Nazi authorities are not happy with Kleiber's plan. Berg writes to Schönberg, who has already left Germany: "All his (the Nazi) lies are exposed. My work is not accepted in Germany, even if I'm an Aryan composer, and Wedekind a German and an Aryan writer". Berg decided then to create the piece known as the "Lulu suite", combining several fragments of the opera. It was premiered in Berlin, nine years after Wozzeck's premiere. It was the last time Berg's music was played in Germany, until the end of the Second World War. The audience received the music warmly, but the reviews in the Press were very unfavourable, accusing Berg of "degenerate musical experiments" or "glorify the story of a whore". After the scandal, Kleiber resigned his post at the Berlin Opera. 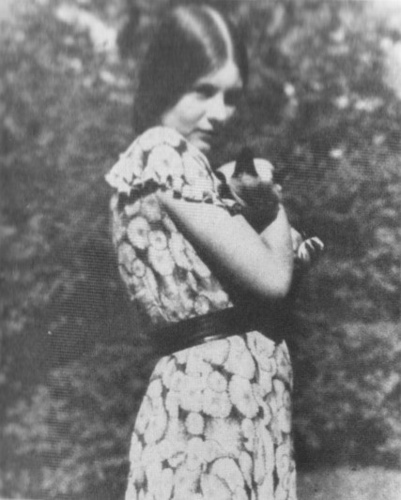 Already in 1935, with two acts completed and working on the orchestration of the third and last, the young girl Manon Gropius, the daughter of Berg's friends Walter Gropius and Alma Mahler, died. The composer was very fond of the young Manon and he interrupted again his work on Lulu, to wrote an extraordinarily beautiful piece, the concert for violin and orchestra, "To the memory of an Angel". This is just magical music. After finishing his work on the concert, Berg comes back to Lulu. However, he dies before being able to complete the opera, at fifty years old. Her wife, Helena, tried to convince Schönberg or Webern to finish Lulu, but both declined the offer. Under those circumstances, Helena decided not to engage any other composer, and premiere the two acts available in Zurich, the second of June, 1937. It was only after Helena Berg's death, that an Austrian composer, a reputed specialist on the Second Viennese School, Friedrich Cerha, can complete the opera, having access to all existing documentation. In this way, finally a full version of Lulu is premiered in Paris, the 24th of February, 1979, conducted by Pierre Boulez, and with Teresa Stratas singing Lulu.